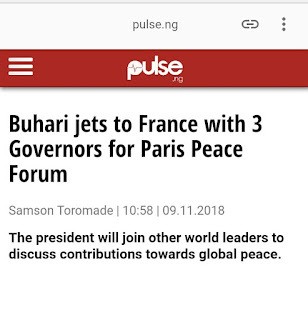 It has been convincingly established that the Nigerian President, Muhammadu Buhari was nowhere to be found after all, at the just concluded World War 1 Commemoration Summit that was recently held in Paris, the France capital city. 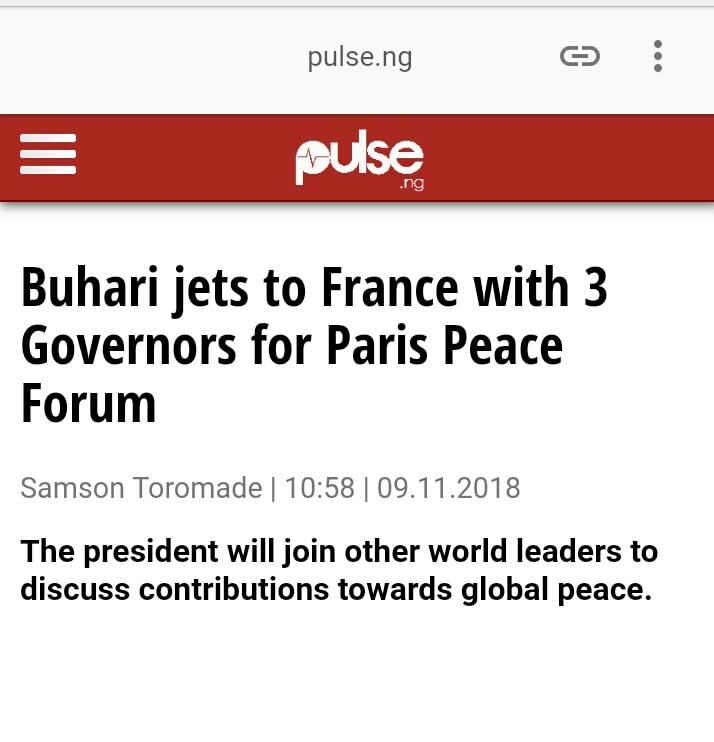 Recall that the Nigerian President had on Friday 9th of November 2018, jetted out of the country under the guise of travelling to France to attend the global summit which had in attendance, over sixty (60) world leaders. 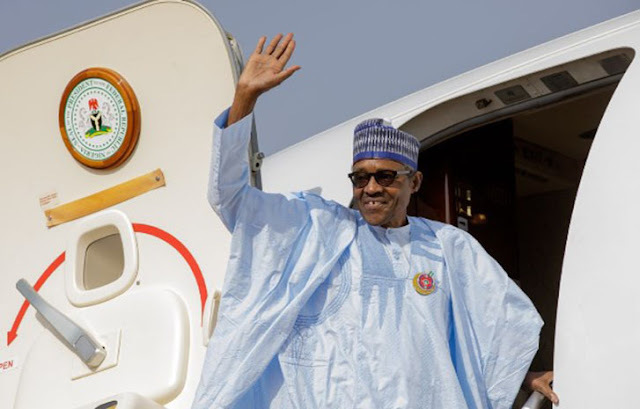 Nigerians however saw their President boarding the aircraft from Abuja airport, that was supposedly billed to convey him to the French capital. It is embarrassingly surprising to note that none of the footages that carried the global event as released by various international media platforms, captured the Nigerian President's participation in the summit. Meanwhile, the Assistant Media and Publicity Aide to the President, Mr. Femi Adesina had variously maintained an intense public backlash, thereby placing his integrity, under serious scrutiny on what many people have described as deliberate attempts to misinform the Nigerian public on the exact whereabouts of their President. Mr. Femi Adesina was quoted to have stated that Buhari was conspicuously present at the summit and even went ahead to release pictures depicting the President delivering a lecture at the 100 Year Anniversary of the World War 1 Global Summit. But forensic experts of Family Writers Press International say that most of the displayed pictures were doctored and outdated. A top Nigerian diplomat resident in France, confided in Family Writers Press that President Muhammadu Buhari could not participate in the event primarily due to his refusal to adopt to the dress code (suit) of all the participating world leaders as demanded. Further information obtained has it that several world intelligence agencies including that of the United States of America, were readily prepared to beam their wannabe-detecting machineries on the Nigerian President, to ascertain Nnamdi Kanu's revelation that the person acting as the incumbent President of Nigeria, is an "impostor". "It was really the plan of Aminu Jubril Al-Sudani and the Nigerian Cabals to have him attend the summit which flopped as he could not summon enough courage as on getting the information about the required uniform dress code and the intelligence dictating machine that was mounted on the summit doors, which were seen as insurmountable challenge to him", the reliable source further told Family Writers Press. "In that case, the cabals have virtually no other alternative, than to divert the President to another conference which was staged by Nigerians elsewhere in France. In that alternate conference, usage of mobile phones were bluntly forbidden. Only few staged individuals were allowed to ask questions to the "impostor". Some participants brazenly displayed gross displeasure and disappointment as they noticed that the "Buhari" could barely identify some of the known Nigerian government officials that approached him", the information revealed. One of the conference attendees who spoke on condition of anonymity to the Family Writers Press, also confirmed that Buhari could not recognize most of the Nigerian dignitaries present in the stage managed conference. "President Muhammadu Buhari did not seem to be aware of his immediate environment. Abike Dabiri who moderated the event, very disappointedly, could not recollect herself too. Before the commencement of the bizarre event, those present were frisked and their individual mobile devices were taken from them before they could be allowed entrance into the venue. One of such individuals had earlier approached Abike Dabiri, intimating her of the nature of his proposed contributions but was flatly discouraged with the caution that he could be thrown out. All the questions posited before Buhari were teleguided and the persons who asked those questions were pre-selected.